Sometimes, I make quilts that have to remain secret, but those secret quilts still have leftover bits of fabric that I want to play with. It's a little baby quilt for one of the little babies I'm expecting this year. * I quilted it using my Handi Quilter Fusion with Pro-Stitcher using a Linda V. Taylor dandelion design. I used Dream Angel batting, like I do for my baby quilts, so it's nice and flat and densely quilted. Backings have been a problem for me this year. I've finished 27 quilts so far in 2017 and each quilt had a backing. Shocking, right? As I'm digging through my UFOs, some of them have backing fabric packaged with them, some I buy new backings for, and others I try to supply with backings from my stash. Even my non-quilting friends** like this sweet little quilt! **Yes, I have non-quilting friends. It surprises me, too. Moda Bake Shop has done it again. They have tempted me with another quilt: Spring Along Charm Quilt. It's made using charm squares. Have I mentioned that I have a few charm packs? As soon as I get home from QuiltWeek in Lancaster, PA and MQX, I think I might have to dive into this tub and pull out enough squares for this quilt. 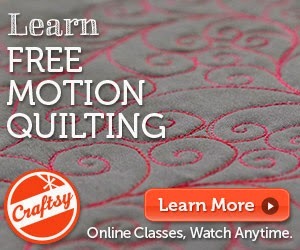 Do You Want to Learn to Machine Quilt? If "learn to machine quilt" was one of your New Year Resolutions, I have great news! I am a columnist for Quilter's World Magazine and write the "Quilting on Your Machine" feature in each issue! Did you notice that they (kind of) mention me on the cover? I saw the list of shops carrying this magazine and was tickled to see two familiar shops. I've taught at both Sew What's New and Yarn, Too in Islip, Long Island, NY and Bits 'n Pieces in Pelham, NH. I'm sure they'd be happy to sell you a copy! In each issue, I will address a different machine quilting topic to help give you the confidence to finish your quilts! I wrote a list of machine quilting topics to cover in future issues but wonder what part of machine quilting is the most challenging for you? Designing Cutie Quilts is so much fun! I love to look at a range of 16 fat eighths of fabrics and discover what quilt they want to become. One of my favorite Cutie Quilts is Squared Away. I've likely made 10 of these (so far)! I only had enough fabric to make the quilt 42"x53", but that is the perfect size to bring comfort to the mother of a childhood friend. I hope this cheers her! My 2017 is dedicated to improving my messy sewing room and helping it become My Happy Place. I have made things easier to see in here. I have upgraded how I listen to media while I quilt. 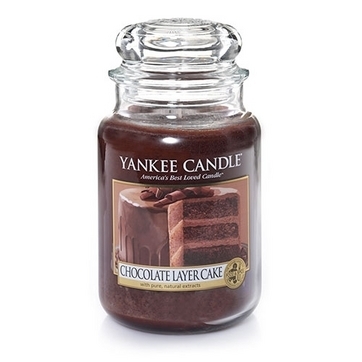 Space on my mantle is dedicated to my favorite things, and chocolate cake definitely qualifies! Do you have any favorite scents for your sewing room? She made it from green Kaffe Fassett fabrics because she knows my love for green and Kaffe. This bag has been to scores of hotel rooms with me and helped me put the final stitches onto many quilts. I think of her every day I'm on the road! I spent another week mostly at home and have made more progress on my Block of the Month quilts. After 10+ weeks of my 2017 commitment to finish my UFOs, I have completed my first block-of-the-month quilt top! I'm waiting to find the perfect backing and then I'll quilt it. I'm leaving soon for two back-to-back quilt shows so I'm not sure I'll be able to keep current on my Block of the Month quilts... but I'll try. II am currently using Quilter's Dream Angel batting for my baby quilts. They are flat and soft and flame retardant. What is your favorite batting for baby quilts? I'm working on Pat Sloan's 182 Day Solstice Challenge and this Honey Bee block requires some machine applique. My large, feature-rich machine is packed and ready for me to use it for teaching on Saturday. Did you know that my little Handi Quilter Stitch 210 machine has a beautiful blanket stitch for applique? This is the machine that I use for my hotel room sewing adventures. Now I know those adventures can include machine applique! Hmmm.... what projects should I bring to Quilt Week in Lancaster, PA next week? I started making a much larger version of my Petal Power tablerunner pattern and appliqued several leaves but then set it aside. I know what I'm probably going to do. What would you do? I have fallen in love with this oh-so-simple Cutie Pattern. I named it Irresistible because... well... I couldn't resist and had to make another! These are scraps of Pat Sloan fabrics left from these quilts. It blows my mind how far this one fat quarter pack has stretched! 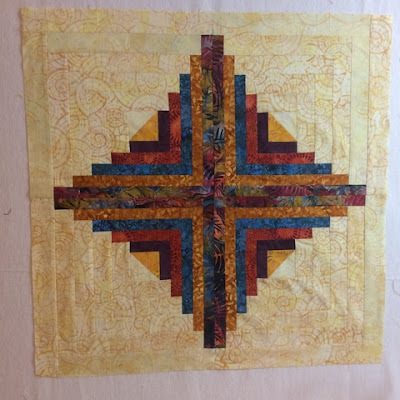 I wanted the quilting to show, so I used my Mellow Yellows FabuLux thread. This quilt has candy corn fabric hiding on the back. It thought it would be a 'sweet' baby quilt! Which fabric should I use for my next Irresistible quilt? Decisions, decisions! Happy Place: There's Money Hiding in My Sewing Room! I spent some of the last week stuck at home in a blizzard and finding the money hiding in my sewing room. Is there cash tied inside the charm packs? Nope. Are there gold bars in between the fat quarter bundles? Nope. Are diamonds sprinkled inside each jelly roll? Nope. I pay money for fat quarters, fat eights, jellyrolls, charm packs, and honey buns. I can find those cuts of fabric in my scrap bin and gather them in pretty collections, I can use them in quilts just like the precut fabric packs that I purchase. I don't have the emotional strength to cut through all of the scraps in my bin(s) at once, but I have promised myself that I won't add to them. Every time I finish a quilt, I cut up the leftovers and a few pieces from my bin. Eventually, by the year 2094, I should have all of my scraps cut up, empty bins, and some spare change leftover! I love living with quilts! I recently changed my bedspread to my new Cutie quilt made with the Ella Blue fabrics I bought in Australia. I finally pieced those pillowcase cuffs and am in love with the whole set! This quilt is a Cutie Pattern (made from 16 fat eighths) and it is called Vintage. I quilted it with my In The Pinks FabuLux thread. I used wool batting so it would show the quilting and be comfy for sleeping! It has been pointed out to me that this quilt is pink Pink PINK! and that my husband might not be terribly fond of a pink bedroom. Please remember that I rotate my quilts often so he won't sleep under it for more than 6-8 weeks each year. And as he said, "My eyes are closed when I'm sleeping, so I don't really care what the quilt looks like so long as it's warm!" This is reason #4893 that I'm keeping this man. I have spent most of this week in my sewing room and have been able to keep up my "BOM block a day" commitment! I'm close to finishing a 2013 BOM from my local quilt shop. All of the blocks were named after animals -- how fun! Bigger news than chiseling away at some BOM quilts was why I was home for 24 hours a day this week -- a blizzard! Tuesday's blizzard was named Stella and she dumped over two feet of snow on us. Some schools were closed for the rest of the week as our area is struggling to recover. My recovery looked a lot like quilting! 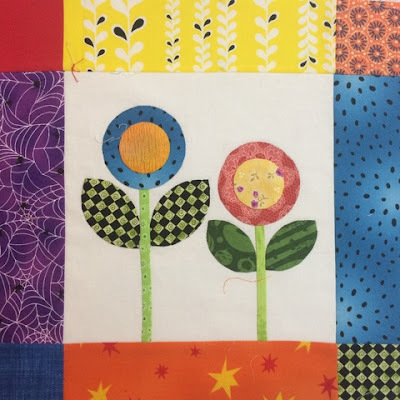 A long time ago in a quilting room far, far away* I made a quilt with some darling Gerbera Daisy fabric and hinted that I was going to do something creative with the fabric. I made six of these beauties for my mom. I will DEFINITELY use this spiral on more projects. It was So. Stinking. Fun!!! I think, after sliced bread, quilt binding clips are my favorite invention ever. I had some fun with my thread choice for the binding. I used my FabuLux Wisteria thread with a DecoBob bobbin. It didn't blend in but instead added a touch of jazz to the binding. For Christmas of 2015, I promised my mom 12 months of placemats, but I never said that all of the months would be in the same year! *It was actually my sewing room where I'm sitting to write this post. It's called "creative license." **About 400 inches, which is bad enough. The internet is conspiring against me. I am trying to finish the quilts I've already started, but I keep seeing new quilts that I have to make. Quilts like this are hard for me to resist because they use 'scraps' and are therefore 'helping' me clean out my sewing room. I also think this would be fun in red/white/blue as a Quilt of Valor. I was tickled to be invited to participate in WonderFil's 2017 Long Arm Quilt Along. My task is to make a small quilt sample using various types of thread throughout the year. Oh, the possibilities! This month's thread was Master Quilter. I chose pink, because... Pink! I used a pre-wound DecoBob soft pink bobbin so the back will be subtle and gorgeous. The brown is the backing. That decision was easy. The three choices I had for the front were a heavily dyed olive green solid, a very light green with a white polka dot, or a solid white. I decided not to use a solid so the mint with the dot won! What batting(s) should I use? Since this quilt is all about the quilting I decided to use two battings -- Quilter's Dream Cotton as a bottom layer and Fairfield wool as the top layer -- to make the quilting POP! Which machine should I quilt on? I have several longarms, but since I adore Hazel, my Handi Quilter Sweet Sixteen, I decided to use that machine. Oh what fun Hazel and I shall have this year! Which design(s) should I quilt? I love the Handi Quilter Mini Scallop ruler for straight lines. I use Handi Grip to make sure that the ruler doesn't slip while I'm quilting. If one line is good, two lines are better. Four lines, however, make me absolutely giddy! If you want more information about quilting with rulers on a sit-down longarm, check out my DVD. I teach how to stitch this pattern in one of my Craftsy classes (link is for $20 off retail price). I use various tools to help me grip my fabric and the Steady Betty bands are great during these cold arthritis months when I can't stand to have gloves on my fingers but also can't grip a hoop. I can't wait to see what next month's assignment will be! These are Christmas napkins made from my Serviettes pattern. I know it's not Christmas, but the weather doesn't really know that. I'm now prepared for the storm, and also prepared for Christmas dinner. It's good to be prepared. Last week, I improved the lighting in my sewing room as a treat to my eyes; this week, I'm delighting my ears! One of my greatest joys in life is listening to books while quilting. I get a lot of books on CD from my library, but I also download audiobooks from my library's website. I have an Audible account, too, that I use when I want to listen to a book that the library doesn't have. Sometimes, when I can't concentrate on a book, I listen to a TV show or a movie on Netflix. I love my wireless headphones. They link via bluetooth to my laptop computer which plays CDs on an external disc drive. I actually have a spare pair of these headphones purchased when the sale was too good to pass up, just in case these die. I even carry all of these parts with me in my carry-on luggage when I travel and plan to quilt in my hotel room! My entire media setup is on a sitting/standing laptop stand/desk, so it doesn't take up room that could be better used for storing fabric (more likely UFOs). Do you watch TV or listen to music/books while quilting? What technology do you have in place to make this work for you? spendy and it took a while for our checkbook to recover from the closing). Heating fuel in New York is also somewhat spendy, so we keep our house cold. Like "my glasses fog up when I exhale" cold, and we've been known to wear gloves indoors. Obviously, I needed a quilt for my sofa. I walked into my local quilt shop and headed directly for their sale rack. Unbelievably, they had several bolts of fabric that worked well together that also matched my living room furniture! If you read last week's explanation of why we can't have nice things (hint: because we have a geriatric cat), you'll understand why my sofa is so disgusting and well past the point of replacement. The pattern is from Beginner's Luck, one of my favorite Thimbleberries' pattern books ever. I've made many quilts from that book several times each! Hmmm... I'll have to dig through my fabric stash and flip through that book again to see what quilts are begging me to make them! It's been a busy week, quilting at home and leaving for a teaching trip. This weekend I'm teaching at Bits N Pieces in Pelham NH. We're having a ball! My Happy Place: Never too much Light!